Correction: Based on the translation we have received, this is not final yet. See the translation added to the bottom. Does the 'slayer' Willy Minnoye accept this ruling (because it’s in his favour)? THE EPO‘s management is so extremely arrogant that it perceives itself as above the law, immune from courts (even at The Hague which is famous for some of its courts), and totally unaccountable. If Eponia was a real nation, it would probably be something like North Korea, where reporting is frowned upon and unhappiness (in public) is barely an option. Dissent is a heinous crime and the Internet is blocked from inside the country ‘for protection’ (like the EPO blocking Techrights). “Dissent is a heinous crime and the Internet is blocked from inside the country ‘for protection’ (like the EPO blocking Techrights).”Willy Minnoye, speaking on behalf of the EPO’s top-level management, said he would ignore the ruling from the highest Dutch court if it ruled in favour of SUEPO, the Staff Union of the EPO. To say so publicly on Dutch television is to basically insult the citizens of the Netherlands, a host country of the EPO (Minnoye is not Dutch by the way). The European Patent Office (EPO) was right to claim immunity from jurisdiction in a dispute. That means that the international organization can not be brought before the Dutch courts in disputes about the official activities of the organization. The Dutch court has no jurisdiction to adjudicate in a dispute between the Rijswijk-based European Patent Office, a unit of EPO, and the trade union association of the European Patent Office and the umbrella union for employees of EPO. Advocate General Vlas wrote today in his opinion, an advice to the Supreme Court. A conflict arose between the EPO and the union union of EPO (VEOB) and the umbrella union for employees of EPO (SUEPO). The reason for this conflict are, among others new lines crossed in the service rules of the European Patent Office. VEOB and SUEPO find that the rules restrict the right to strike too much and that EPO should recognize them as social partners in collective negotiating. This case concerns the question whether the granting EPO immunity constitutes an impermissible restriction on the right of access to justice within the meaning of the European Convention on Human Rights. A preliminary injunction judge dismissed EPO’s claim on immunity but rejected the claims of VEOB and SUEPO – the withdrawal of the strike rules and recognition as social partners. According to the court VEOB and SUEPO can address their demands to the central organization. On appeal the court also ruled that EPO can not rely on immunity. The court upheld the claims of the unions. Against this judgment the EPO brought an appeal in cassation. The State supports the position of EPO as intervener. According to the Minister of Justice, the State need to abide by agreements on immunity of international organizations. Advocate General Vlas states that the right of access to justice in accordance with the European Convention on Human Rights is not absolute. According to Vlas, VEOB and SUEPO’s rights must be sufficiently guaranteed by the EPO in existing internal dispute procedure with an appeal of individual employees and employee representatives at the Labour Tribunal of the International Labour Organisation in Geneva. The core of the right of access to justice guaranteed by the European Convention on Human Rights is therefore not affected, says Vlas. A conclusion is an independent, non-binding, legal opinion to the Supreme Court. The Advocate General is a member of the Public Prosecutor at the Supreme Court. The prosecutor at the Supreme Court is an autonomous, independent part of the judicial system. It does not belong to the Public Prosecutor. It is expected that the Supreme Court will deliver its verdict on 20th January 2017. PATENT QUALITY at the EPO has sunk pretty low, as insiders tell us and staff representatives say as well (they have this new paper about it [PDF] — a paper which somebody leaked to us). It seems to be the consensus inside the EPO that patent quality is far from what it used to be; it’s only EPO management that keeps lying about it and the above was published internally because “the President is advertising our quality all over the world.” Yes, the liar in chief is now making a career out of lying about everything. He calls himself “President” but acts like the world’s worst boss, whose words are less than worthless. Some believe that he was intended to morph the EPO into the French model, which would basically render all the examiners redundant. The worst case scenario is, the guy is a ‘liquidator’ of the EPO. He’s put in charge to destroy it. We could use an English translation, so if someone can provide an outline or a complete translation, that would be great. Automated translations just aren’t so reliable and there is room for misunderstanding that might impact our credibility. “Remember that the lower the quality of EPO patents, the more damage will be done to the European economy, including by foreign entities like patent trolls.”Under Battistelli, as we have shown here before, oppositions are being suppressed (made more expensive, time being prohibitive, and so on), so obviously the quality of patents will decline, without this decline even being detectable. Provisions exist in the United Kingdom to prevent unjustified threats of legal action relating to infringement of patents, designs and trademarks. The provisions were originally conceived with the intention of stopping the holder of an IP right from damaging a person’s business by threatening their customers or distributors with an infringement action of the IP right. The current provisions, however, are inconsistent across different forms of intellectual property and are worded such that an innocuous communication from an IP rights holder may be interpreted as an actionable threat. This results in an increased risk of litigation proceedings between the parties. This is contrary to the overriding principle enshrined in the UK’s Civil Procedure Rules, which encourage pre-action correspondence and negotiation in order to ensure that disputes are dealt with at proportionate cost. The UK’s government issued a draft Bill setting out proposals to address some of these issues. The Intellectual Property (Unjustified Threats) Bill 2016 would update legislation relating to unjustified threats to provide greater consistency and clarity. For example, the Bill proposes positive definitions for “permitted communications” to provide a safe harbor to allow rights holders to communicate with potential infringers, without running the risk of a threats action. In this way, parties should find it easier to comply with the Civil Procedure Rules by exchanging information prior to the start of any litigation. 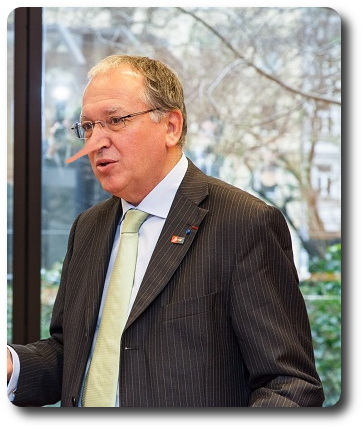 LATE on a Friday (one week ago) the next stage/phase of new EPO propaganda began, with the release of 3 documents commissioned to help Battistelli lie to the Administrative Council and the entire world. A fortnight from now another stage/phase will begin, namely a so-called 'conference', probably decorated or accompanied by shallow media coverage (planted puff pieces*). EPO management does a good job demonstrating that it’s not only a chronic liar but also a manipulator of the media, at huge expense to the EPO (other than growing reputational cost). SUEPO, who represents about half of the EPO workforce, has not been invited. Yesterday morning we published leaked Board 28 documents. As we noted at the end, these demonstrate that the Board (i.e. Kongstad et al) are ever more complicit in Battistelli’s abuses. Team Battistelli, we should remind readers, is said to be buying votes or buying (one might say “bribing”) the delegates. As one new comment puts it, the “AC representatives [delegates are] being showered with “gifts” by the very body that they are supposed to oversee” (source). AC representatives being showered with “gifts” by the very body that they are supposed to oversee? If this is true, and if there is concrete proof of the same, would that not mean that the representatives concerned would need to declare a conflict of interest and step aside? Oh, I forgot. There is no one to call them to account. And there would be no one to replace the representatives if they did step aside. Hardly a model of good governance, though. One might even go as far as to say that it is a model of governance that could easily be corrupted if undesirable types managed to secure powerful positions within the Organisation. God forbid that this ever happens! * Managing IP, an EPO mouthpiece nowadays, was planning to help Battistelli lie about the social climate at the end of this month, using a placement in the form of an ‘interview’ with Battistelli (part 2), but this has not happened and they failed to get a response from AMBA, which is understandably scared. Yesterday they began speaking and spreading the falsehoods about the EPO's crushing of the boards (under the guise of “independence”). Haar is somewhat of a suburb quite some distance away, so saying that “Boards will remain in Munich” is a lie. To quote further: “In addition to predictable concerns among users of the EPO as regards preservation of quality and independence of appeal decisions, the EPO’s ambitions with regard to cost coverage are seen as problematic by many due to the future increase of the appeal fee. A four- or five-fold increase of the appeal fee may well prove prohibitive to appeals, even in respect of clearly flawed first-instance decisions, or may put a heavy economic burden on parties to proceedings in respect of cases which are subject to multiple appeals in respect of the same patent or patent application.” We should remind readers that payments and working conditions are eroding, motivating what’s left of staff at the Boards to simply leave, giving the impression that these Boards are dying naturally on their own. THE EPO and Team UPC, along with their largest clients, try to take over Europe and rewrite the law. 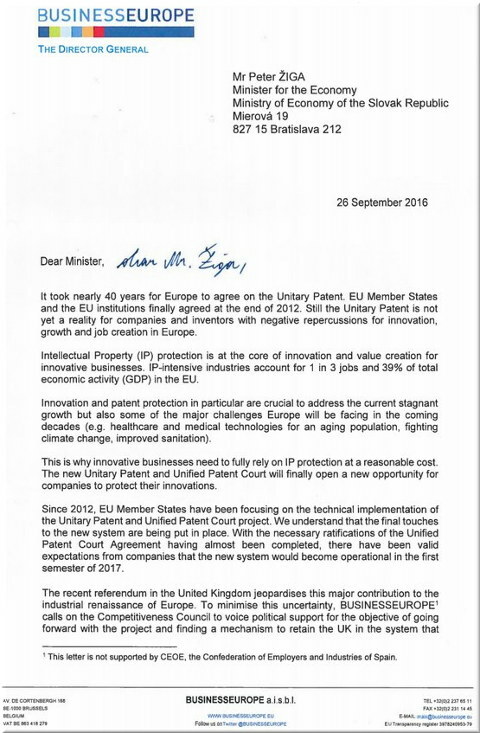 Kingsley Egbuonu from MIP (close to the EPO) continues his Unitary Patent and UPC “progress [sic] report”, this time noting that “EU Ministers reiterate support for the system; legal opinion on UK’s participation; The Netherlands ratifies UPC Agreement; legislative process for ratification underway in Italy; new Italian course added to list of UPC representation qualifications for European Patent Attorneys; official timetable for launch of UPC may be revised; Unitary Patent system ready and UPC preparations to continue” (all sounds incredibly optimistic). The UK isn’t going to ratify the UPC, which puts the whole shebang in existential danger (across the whole of Europe). Everyone seems to know it except Team UPC, which invested so much in this change (de facto theft of democracy) that all resources are now being thrown at lobbying. Take Bristows and its self-nuking statements for instance. Bristows is still lobbying to have its talking points interjected into ‘news’ papers which the EPO paid for PR. Here they are saying: “Milan challenges London for patent court – Our Alan Johnson comments on the @FT https://www.ft.com/content/9199ea86-80c8-11e6-8e50-8ec15fb462f4 … pic.twitter.com/DyqpSJfFBA” (FT was paid by the EPO for this kind of bias). It seems as though the UPC will be officially dead next month, but Team UPC is working super-hard at the moment. It includes ‘hijacking’ the media for their own selfish purposes. Bristows is being amplified (almost the entire piece is Bristows) by WIPR and an article composed by Bristows staff keeps getting referenced as ‘proof’ that “European business urge continued UK involvement in UPC on eve of Competitiveness Council meeting” (utterly misleading headline). Competitiveness in Europe would require demolishing the UPC, but international monopolies and oligopolies want the opposite of competitiveness; they just want protectionism to cement their market position and marginalise competition (e.g. 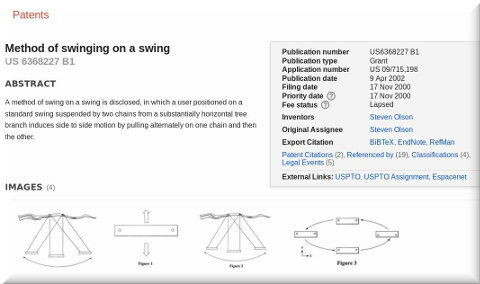 by means of patent lawsuits or threat thereof). That all firms having been heavily involved in the preparations of the UPC want it to come alive is understandable, be it only because of the time and efforts invested in it. That their might not be a return on investment is bitter for all of those them. But c’est la vie. The letters from Business Europe and consorts are a wonderful pro domo plea. But they all stem from Big Industry. Did you expect that Air Liquide would be against the UPC? On the other hand, we were always told that the UPC is primarily there for the benefit of the SMEs. I do not see any federation of SMEs, but the French CGPME having participated in such a plea. The CGPME being one among the plenty members of the UJUB, even if it had a restrictive opinion, it would be overthrown by all the other members. I get the feeling that lots of people have lost track of the political reality. How can a sensible person advocate immediate ratification by the UK of the UPC Agreement when the terms of the Brexit are not even known? There might be ways for UK to continue its participation, but this means accepting EU law. I dare think what the EuCJ will have to say if UK participates to the UPC after Brexit and does not fully accept EU law supremacy. But then why the Brexit? Why on earth push for something which nobody knows how it will end up? That UK participation would be good is certain, but as somebody in charge in the UK said Brexit means Brexit. It is clear that if the UPC does not enter into force because of the lacking ratification of the UK, it will be delayed for a while. And then the can of worms will be opened again. But that is a reality which is tangible and which should be accepted. Whether we like it or not, it is time to look at reality and not hope for something which has been lost. We have seen nothing of that sort yet. Team UPC has no sense of shame and no respect for democracy at all. Sometimes it feels like politicians are on the same bandwagon. That’s the problem with the UPC, it is not counter-balanced by an elected parliament, such as the European Parliament. It is an undemocratic monster. If the UK is out, the bare minimum would be to reintroduce art6 and art8.